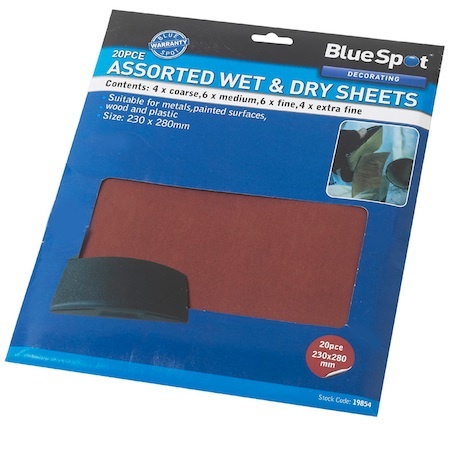 10pc assorted pack of mixed sheet sandpaper from Blue Spot Tools. 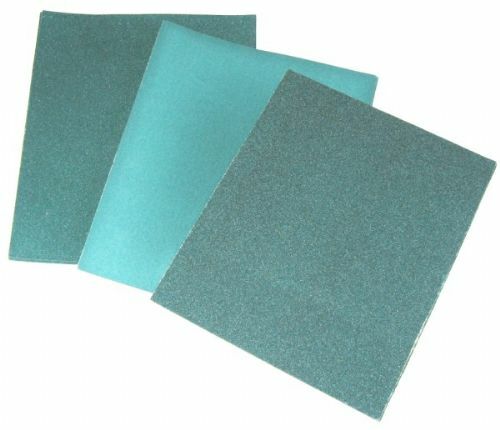 The sandpaper is suitable for metals, painted surfaces, woods and plastics. 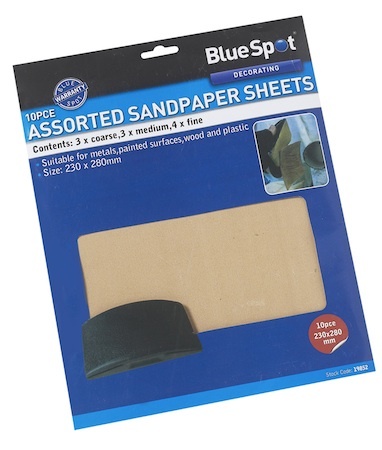 The pack of sandpaper contains 3 coarse sheets (paint stripping and rough sanding), 3 medium sheets (general sanding) and 4 fine sheets (finishing). Size 230 x 280mm. Perfect for all those DIY jobs.